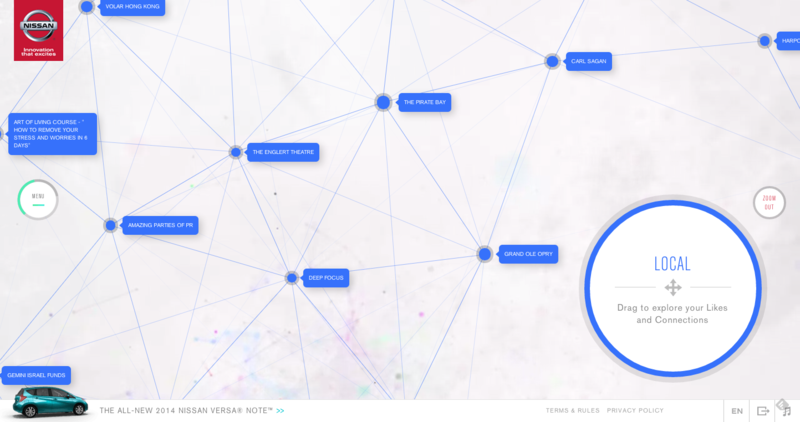 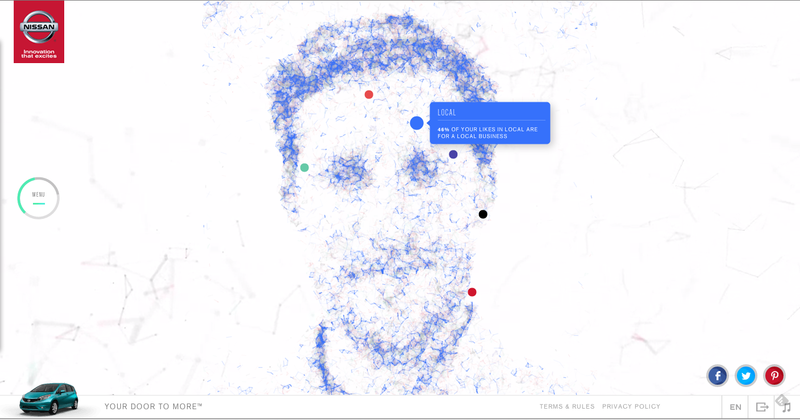 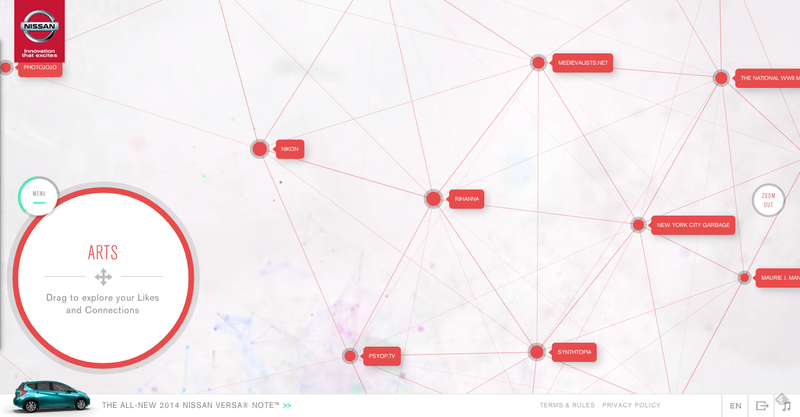 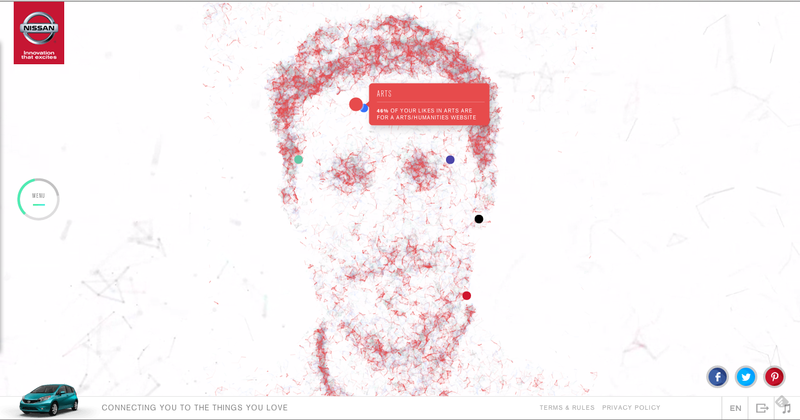 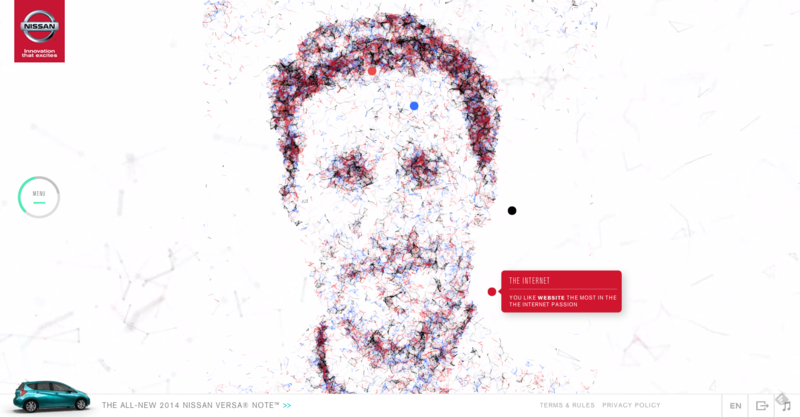 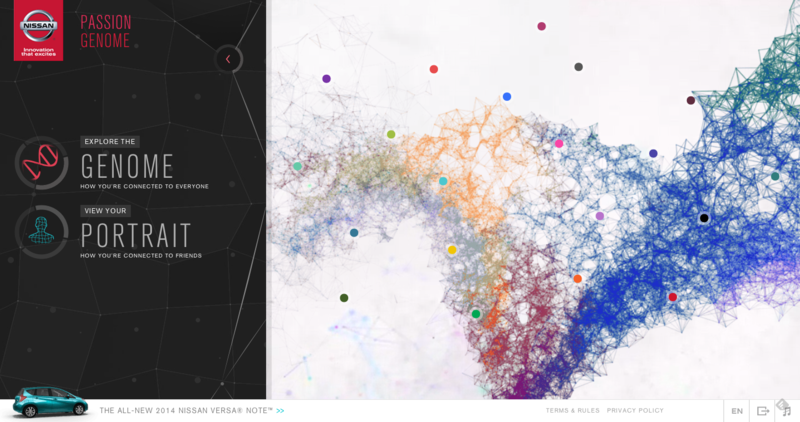 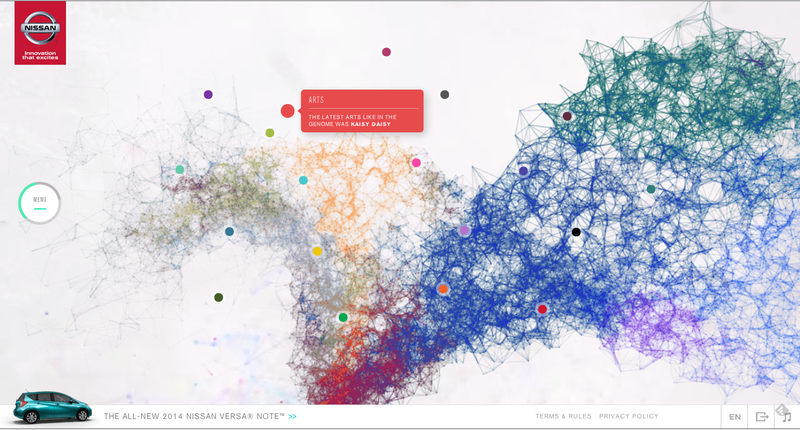 An interactive interest mapping project that used Facebook interests graphs from their api to create an interface build of a users face. 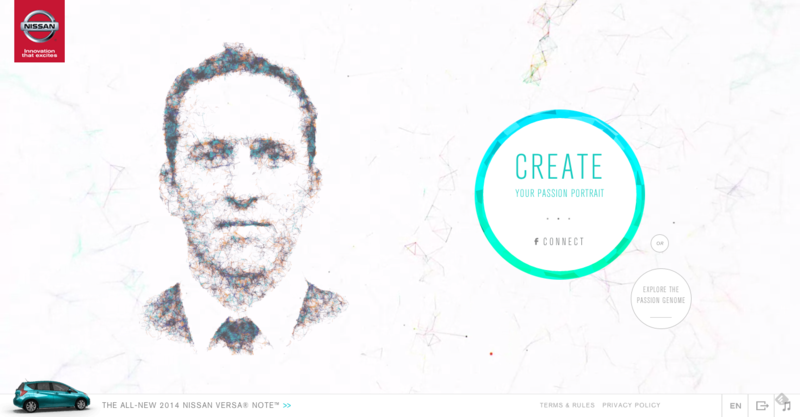 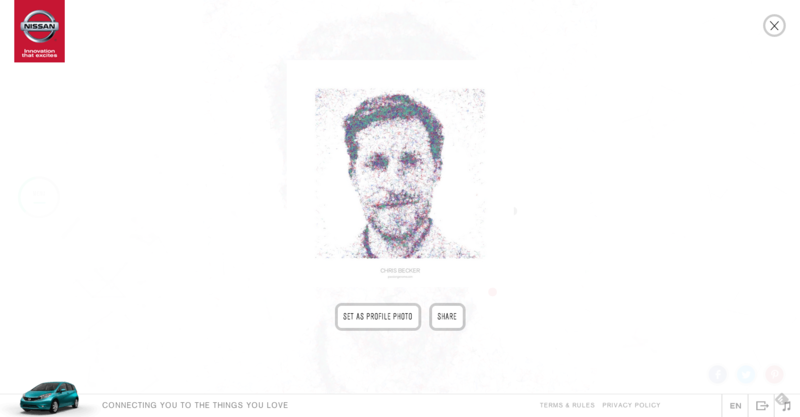 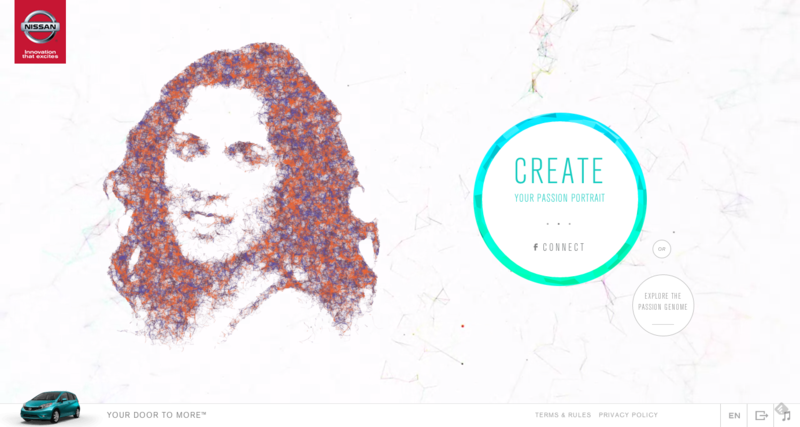 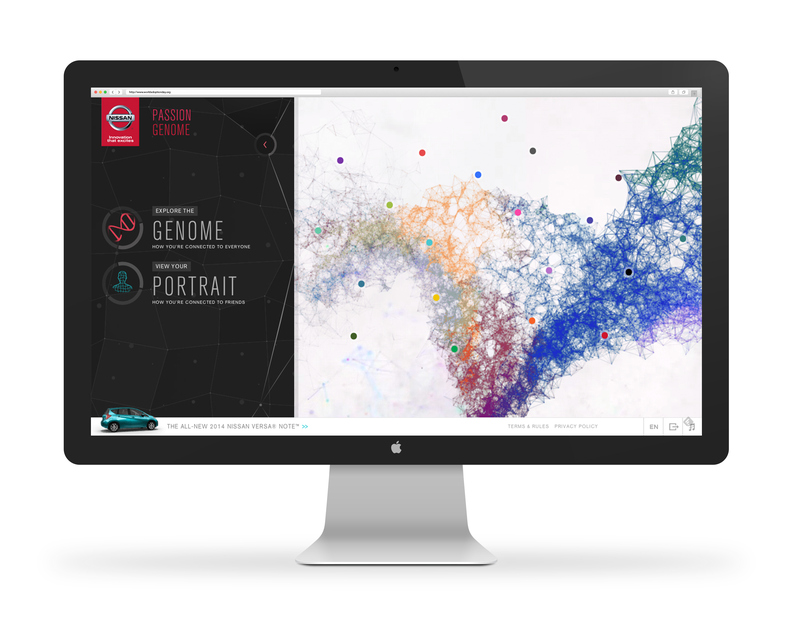 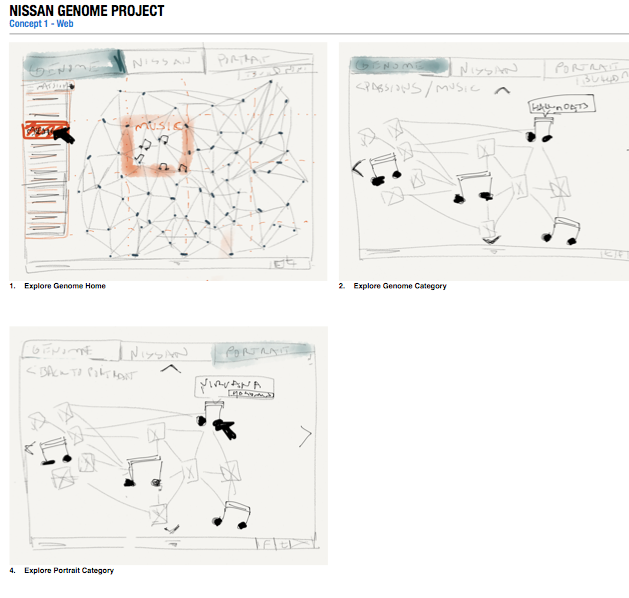 Users can have their face be rendered by the genome system and share through social media. 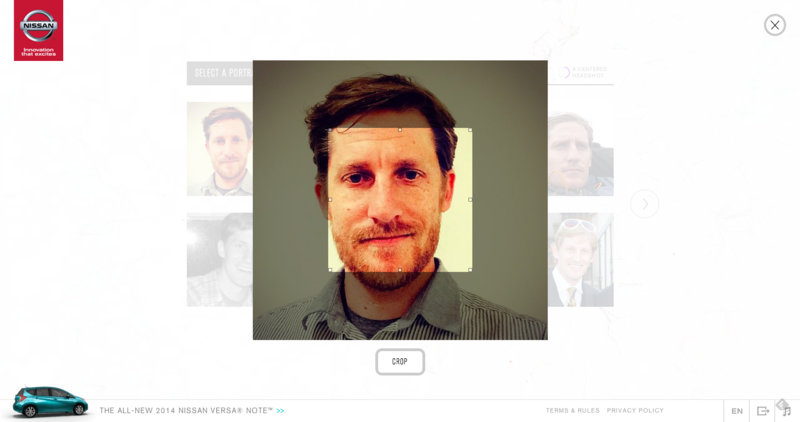 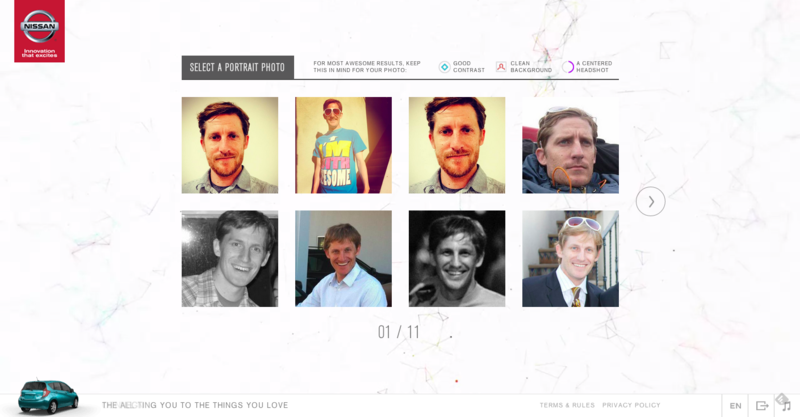 Using Facebook Connect, A user can choose a photo from their profile and have the genome system redraw and render their face into a interactive expereince that is both sharable and a flection of a individuals interests. 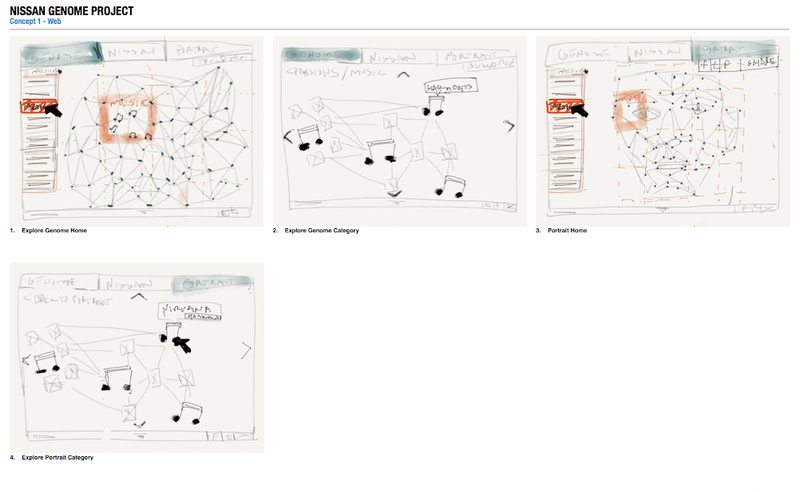 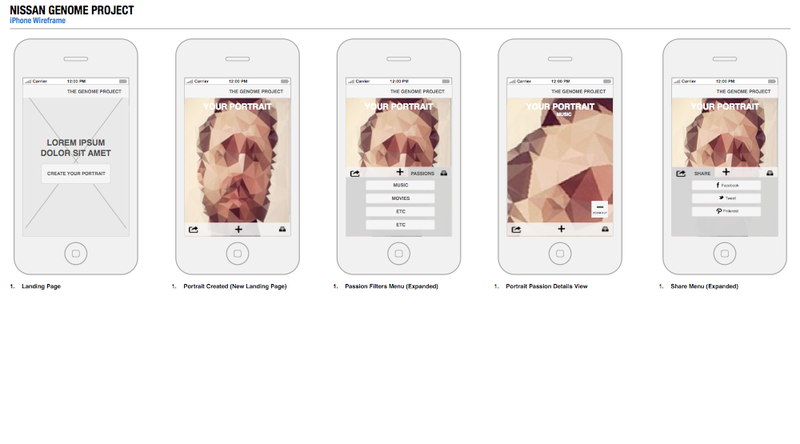 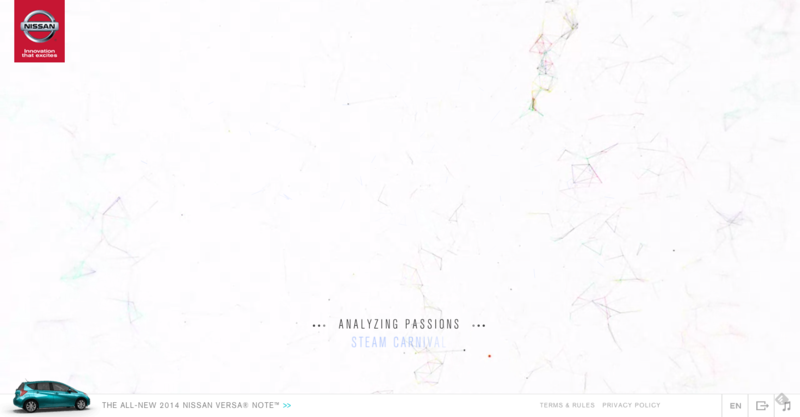 Early explorations into the interface and experience sketching moves quick.